Connect-123 and KAHAL are excited to announce a 2019 Cape Town internship scholarship for those looking for meaningful, career-oriented work while deepening their knowledge of the global Jewish community. 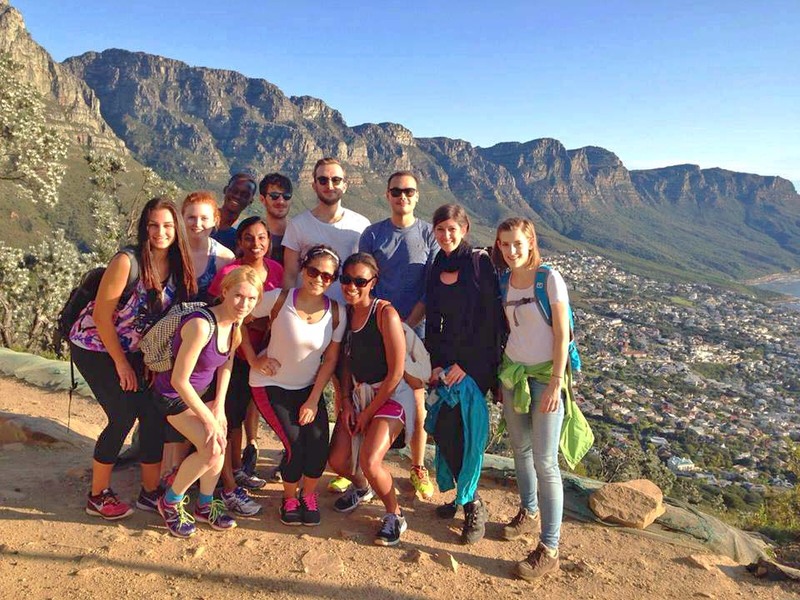 Imagine exploring South Africa’s Jewish community while immersing yourself in a customized, career-focused internship in Cape Town. As the winner of this scholarship, you will receive free tuition for Connect-123’s Cape Town internship program, including housing for 8 weeks (a $3,950 value). In addition, KAHAL will pre-approve the winner for an additional grant of up to $250 to spend as you explore the vibrant, welcoming Jewish community of South Arica. This Scholarship also includes ten runner-up awards. As a runner-up, you will receive a $300 discount off your Connect-123 program tuition and pre-approval for the KAHAL program grant. Thanks to our local partners in Cape Town, both the grand prize winner and all runners-up will have the opportunity to participate in special programs and initiatives on the ground, including themed community and youth shabbat services at the oldest synagogue in Cape Town, Shiurim with local youth, and more. Do I have to be Jewish to apply? Absolutely not. Anyone with an interest in exploring the global Jewish community is welcome to apply. The application period is from February 4, 2019, to February 24, 2019. Applications must be submitted by 11:59:59pm PST on February 24 to be considered. Applications are now closed. Decisions will be announced by March 8, 2019. When can I go to Cape Town? The Scholarship, as well as the runner-up prizes, are valid for internships starting between June 1 and October 31, 2019. Connect-123 has relationships with hundreds of organizations in Cape Town for internship placements. All winners will receive the same customized placement service that Connect-123 provides to all participants. Leveraging your skills, background, and interests, Connect-123 will find you a meaningful, career-related opportunity. Please visit our Cape Town page for more information and also please check out our Cape Town reviews from past participants. Does Cape Town have an active Jewish community? Yes! With the oldest Jewish community in South Africa, Cape Town has a rich and fascinating Jewish history. The first synagogue, built in 1849, still stands today. You will be able to explore cultural centers like the Holocaust Museum and visit the Progressive (Reform) synagogue that hosts exciting and vibrant Shabbat services with a twist. All scholarship winners will have the opportunity to participate in events related to Cape Town’s Jewish culture and to meet leaders of the Jewish community. Tell me more about the organizations behind this scholarship? About Connect-123: Connect-123 is one of the world’s leading providers of international experiential education, helping university students find challenging, career-related internship and service learning projects in a wide range of fields including human rights, journalism, education, business consulting, entrepreneurship, health care, engineering and sustainable development. Through their extensive network of for-profit and not-for-profit organizations, Connect-123’s local, on-the-ground staff can find specific opportunities for students according to their academic and career goals. Since 2006, Connect-123 has placed thousands of students into opportunities in Barcelona, Buenos Aires, Cape Town, Dublin, and Shanghai, and will be launching its newest location, Sydney, this year. About KAHAL: KAHAL provides Jewish students studying and working abroad the resources, tools, and connections they need to meaningfully engage with the Jewish community and deepen their Jewish identity during one of the most important, meaningful, and enduring experiences of their lives. Founded in 2013, KAHAL is the premier organization for Jewish study abroad students around the world, helping thousands immerse themselves in Jewish life in 55 countries and 110 cities worldwide. 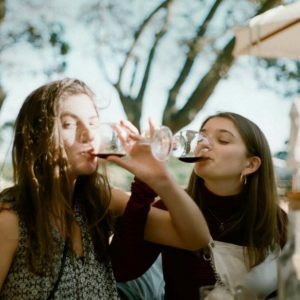 When my friends and I wanted to take a weekend trip to the wine country near Cape Town, we were determined to make sure that our friends who observe Shabbat were able to participate. KAHAL provided us with a grant to get a stunning Airbnb in Franschhoek. This ensured that we could share a beautiful Shabbat meal on Friday evening and that our observant friends could relax by the pool at our Airbnb on Saturday while the rest of us explored. Our weekend in the South African wine country was a highlight of my abroad experience and would not have been possible without a grant from KAHAL. 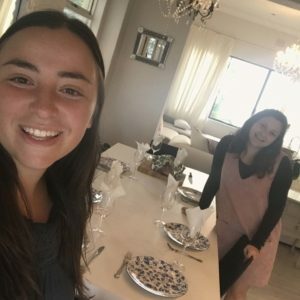 KAHAL had helped us find host families in the community before, but we decided to utilize our KAHAL grant to find an AirBNB in Sea Point for Shabbat. Having our own flat was a great balance, helping us feel like we were not only a part of the community, but that we were creators within that community as well. On Friday night, we hosted friends from our program and some locals for a traditional Shabbat dinner. As it’s nearing the end of our time here, it was the perfect opportunity to reflect on our past 4 months together in a no-tech zone.